Don’t let our emphasis on style and comfort lead you astray: the Shenkin Hotel is absolutely a hotel for business travellers. We may have a high-end treatment rooms designed for relaxation and rejuvenation, and we may have a gorgeous rooftop patio perfect for an evening drink, and our rooms may be a peaceful haven, but we know how to get work done as well. This is a hotel for corporate travellers and business meetings, and we take that responsibility seriously. Our comfortable, relaxing guest rooms be turned into personal business centers with ease thanks to the free Wi-Fi and a large flat screen TV. And when you’re ready to turn in for the night after a long day of work, you can be sure you’ll have an excellent sleep. 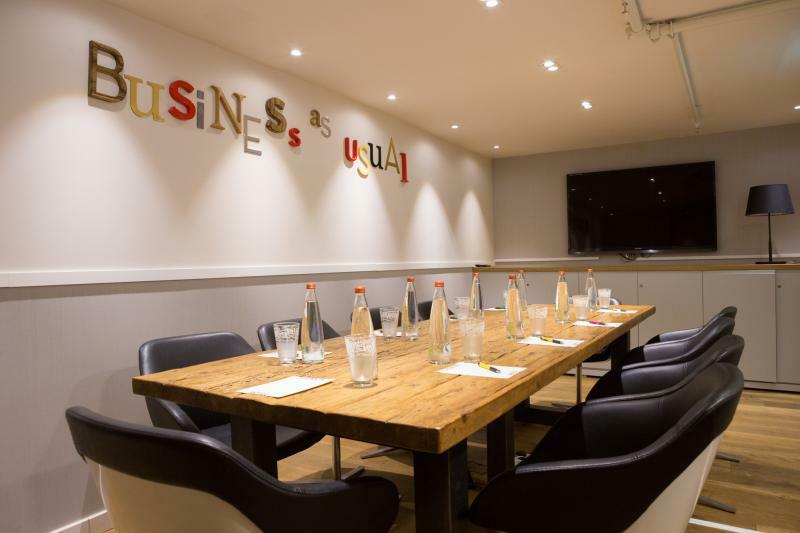 If it’s a meeting place for businessmen that you require we also boast a conference room for important business meetings. Our business center is open 24/7 and provides our guests with an additional space to get work done. It also serves as a conference room. This meeting place for businessmen boasts boardroom table that seats 12, Wi-Fi and computer access, printer, copier, and fax machine, telephone, and coffee machine. All other technical and support services required may be furnished upon request.